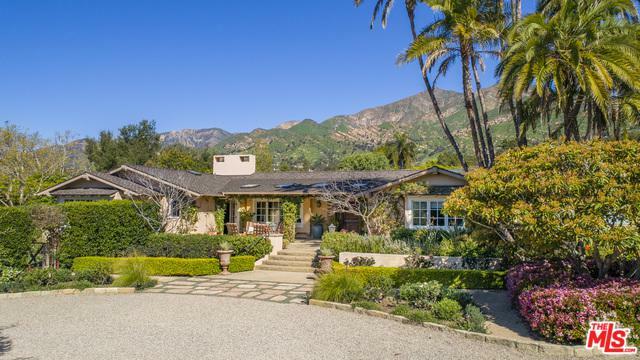 At the end of a lane and along a driveway, this quintessential ranch home on 1.20 acres encompasses all that is Montecito living: privacy, sophistication, views and seamless indoor-outdoor living. 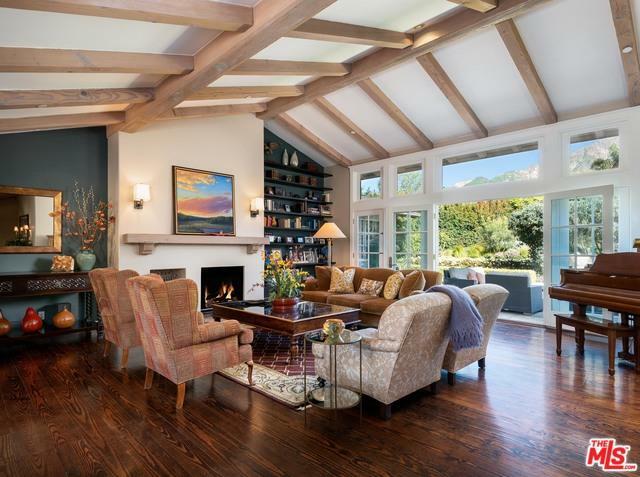 Nearly every room in the home has large picture windows opening to views of the mountains or the perfectly landscaped grounds. Featuring high open-beam vaulted ceilings, allowing for an abundance of natural light, the flexible single-level floorplan offers spacious secluded bedroom suites and inviting entertaining spaces. The expansive grounds are thoughtfully utilized, including a dazzling pool/spa, dining terraces, lovely lawn area w/ firepit, elegant motor court and gorgeous landscaping of roses, palms, hedges and more. Conveniently located close Montecito's upper village. 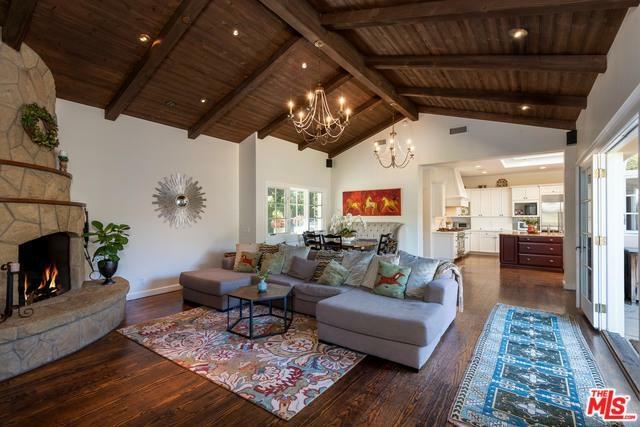 Listing provided courtesy of Shahram of Berkshire Hathaway Homeservices California Properties.